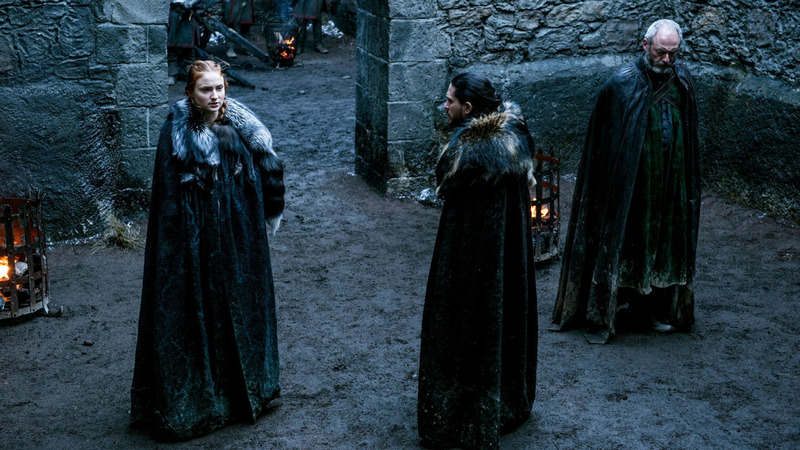 Sansa Stark Season 6. . HD Wallpaper and background images in the Sansa Stark club tagged: photo game of thrones got tv show season 6 episode 7 6x07 sansa stark winterfell jon snow davos seaworth sophie turner. This Sansa Stark photo contains mantel. There might also be capote, kapuzenmantel, kapuzen umhang, oper mantel, oper haube, opernmantel, opernhaube, nerz, and nerzmantel.